The star-studded field at this year's Hopman Cup will start the tennis season off in Perth, Australia with eight eager teams ready to battle each other for the title. Top seeded Serbia will look to make quick work of their Kazakhstanian opponents on January 2, while Justine Henin and her Belgian counterpart will play the first match against Australia on New Year's Day. This post will highlight in detail the top four seeds chances at the finals and briefly touch upon the other four unseeded teams in the field. These two lifelong friends will partner each other for the second time (they also played with each other in 2006) at the Australian event and based on the second half of 2010, they look to be in great shape to take the title in 2011. Novak Djokovic played impeccably well in the US Open semis against Roger Federer to make the finals only to lose to Nadal. But, more significantly, Djokovic led his Davis Cup team to the title at the beginning of December in his native Belgrade. In addition, Ana Ivanovic made an incredible late-season surge up the rankings taking International titles in Linz and the second-tier year-ending championships event in Bali. All signs point to a spectacular 2011 for these two Serbian phenoms and the Hopman Cup will surely be an indicator of how the new season will progress. If she can hit plenty of forehands like this, Serbia will be in great shape to win the tournament. Novak Djokovic always brings his competitive side out during team competitions. Reaching the final of this event together last year, the British duo of Robson and Murray will look to go one better at this year's edition of the tournament. But, it should be noted that last year Robson only one of her singles matches (against Martinez Sanchez in the final) and she will have to improve upon that statistic if she hopes to lead her team to glory. While she has yet to score a hair-raising victory against a top player, she won't face too much competition from the other females in her group, with the exception of Francesca Schiavone, as she is scheduled to face Bethanie Mattek-Sands (#58) and Kristina Mladenovic (#300). Andy Murray, on the other hand is by far the strongest male player in his group as he should be minimally challenged by Nicolas Mahut and Potito Starace. However, John Isner also resides in this group, and certainly shouldn't be taken lightly. Playing the event for the second year in a row, Robson and Murray will attempt to hoist the trophy this go-around. The unheralded Ruben Bemelmans will want to impress his partner Justine Henin from the start, and he might have to because Henin hasn't played a tour match since Wimbledon. Henin, who appeared to be struggling with the serve and forehand at an exhibition against compatriot Kim Clijsters in December will need to play well from the get go in Perth if she wants any hope of reaching the weekend. Bemelmans on the other hand will be hard pressed to beat men like Djokovic and Australia's Lleyton Hewitt. Nevertheless, as the mantra goes: anything is possible, and it will have to be if the Belgian team hopes to have any chance at the title. Justine Henin will be returning from an elbow injury at the Hopman Cup. Led by the surprise Roland Garros champion, Team Italy will have a decent chance at making the finals. Schiavone, who is coming off a career-best season, will face relatively weak opposition from Laura Robson, Kristina Mladenovic, and Bethanie Mattek-Sands, whom she beat in the Fed Cup final. Starace, a perennial top-75 player on the ATP World Tour, will be the clear underdog when he goes against Andy Murray and John Isner, but could have a chance at victory against France's Nicolas Mahut. But, with the doubles skills of Schiavone, the duo will always be alive up until the final match, mixed doubles, is decided. Francesca Schiavone will hope for a strong start to her season after taking the Roland Garros title in 2010. The remaining four teams, all full of potential, lack the stardom of the other four seeded teams, despite having several distinguished names, like Lleyton Hewitt and John Isner. Isner, who was originally partnered with Serena Williams, will now play the mixed doubles event with lesser-known, but highly capable Bethanie Mattek-Sands. The US team will have a fair shot at reaching the finals if both Mattek-Sands and Isner can win a majority of their matches. Like the US, Australia will also have a chance at the Saturday final if the stars align for Molik and Hewitt. On the other hand, France and Kazakhstan will be hard-pressed to win any of their matches because of the relatively shallow resumes of their four players. Team Kazakhstan, which could also be referred to as Team Russia as both Shvedova and Golubev hail from Russia. When it comes to their tennis, both are talented, but also young and fairly inexperienced when it comes to big matches and pressure situations, despite the fact that Shevedova won two Grand Slams in doubles last season with Vania King. 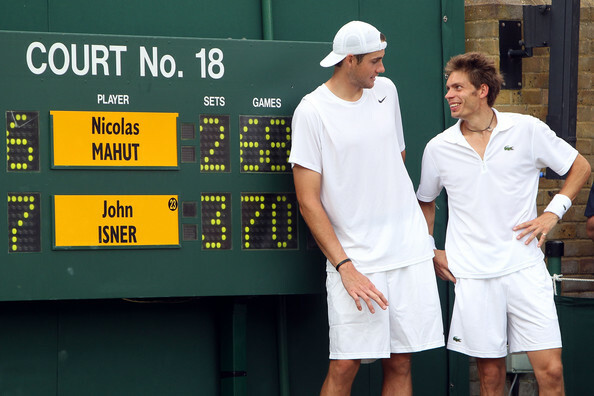 If Kazakhstan was a part of Group B, along with Britain, France, and Italy, I would give them a fair chance, but Group A is far more competitive than B. Lastly, France brings two players ranked outside of the top 100 to Hopman Cup: Mahut, who is most famous for his first-round loss to John Isner at Wimbledon and Mladenovic, who much like Laura Robson won her home junior Grand Slam event as a teenager (she won Roland Garros juniors in 2009). However, both players will have chances at victories in Group B. Tennis enthusiasts won't have to worry about another 70-68 final set score with the third-set tiebreak in Hopman Cup play. Alicia Molik's volleying skills will come in handy during the duration of Hopman Cup play. Very cool pictures and article. Thanks!